If you have always wanted to become a health care professional, now is the time to do so. Take part in the various health career programs we offer at Bayou North Area Health Education Center today! For more information about our programs or how you can apply, please visit our programs page. Our team is driven by the goal of producing knowledgeable and highly qualified health professionals to serve the community. 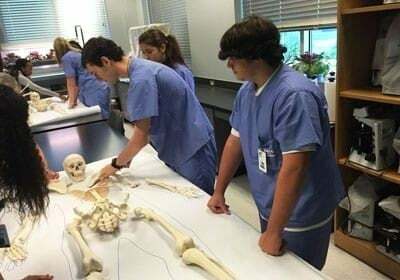 We want to guide aspiring students towards a career in health care. Our health education programs are designed to offer an optimum learning experience and to inspire our students to pursue their dreams and make a difference in the community. If you have always wanted to become a health practitioner, now is the time to do so. Take part in the various health career programs we offer at Bayou North Area Health Education Center today! For more information about our schedule or how you can apply, do not hesitate to contact us.